SFWDA fully supports the actions of this organization. BULLETIN * Please read the Message Board Post about the current status within the Uwharrie National Forest. The Uwharrie OHV trail system is in danger and requires SERIOUS attention to remain open for OHV users! The Uwharries are one of the oldest mountain ranges in North America (http://www.sfwda.org/fou) and as such have many historic archaeological sites that must be preserved. Damage to these sites from proximity to OHV trails and from illegal spider trails and bypasses has already caused the closure of several sections of the trail system. Continued damage, if not arrested, could even result in system wide closure! 1. It appears that the only way to preserve some of the sensitive archaeological sites in nearest proximity to trails is to line both sides of the section with guardrail. While this might not be the best solution aesthetically, it may be the only solution for now. Attend one of the 2015 off season Forest Service workdays and help accomplish this goal. These will be held each month throughout the year. Meet at the Hunt Camp at 9 a.m. each workday. Everyone is encouraged to help keep our OHV, Hiking, Horseback Riding trail systems maintained and safe! Meeting is at 9am at the Hunt Camp, just off of Hwy 109 not far from the Eldorado Outpost. We install protective barriers, close illegial passes, collect garbage, and work together as a team to make a difference in Uwharrie! Our OHV workdays are effective! Weclose offillegal trails, post new trail markers, reinforce roadways with guard rails, gravel, and strategic rock placement on trails, as well as general all around maintenance like at Daniel where we worked together cleaning the trail. Short term goals center on continuing to provide manpower, money and equipment for the maintaining of the Uwharrie OHV trail system. Long term goals center on bringing together the disparate recreation interests in the Uwharrie National Forest area under one advocacy umbrella. Our website is www.friendsofuwharrie.org . We accept donations on the website through PayPal. Our goal is to provide Uwharrie National Forest visitors, principally OHV users, with one voice in their quest for sustainable outdoor recreation. Friends Of Uwharrie wants to be YOUR voice in Uwharrie National Forest. Through a policy of complete honesty, openness and transparency we hope to continue to have YOUR support! 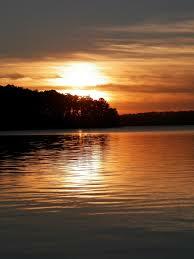 According to geologists, the Uwharrie Mountains are one of the oldest mountain ranges in North America. As one of the oldest ranges, the Uwharries have more archaeological sites per acre than any other forest in the southeast. While dinosaurs may have roamed those 20,000-foot summits, the Uwharries remain. The same forces of erosion that wore the Appalachians down from their former Rocky-Mountain-like heights also took their toll on the Uwharries, which now top out at 1,100 feet. In the late 70s and early 80s, motorcycle clubs, notably NC Trailriders, under the leadership of John Worsley, were using the forest trail system and developing and maintaining new trails. At this time Scott Fields was living on Badin Lake and as an active outdoorsman, Scott was an active user of Uwharrie National Forest. Scott was an ATV owner who frequently rode the Forest Service roads and hunting trails in the Uwharries. As a “local” Scott became friends with John Worsley and NC Trailriders. Scott would use his Honda Foreman ATV to serve as a pack mule for the motorcycle club as they performed their trail work carrying chainsaws, axes, gas cans and other equipment the motorcycle riders couldn't carry. During this same period of time, 1982-1986, a 4wd event called the Smoky Mountain Trek was being held in the Nantahala National Forest area called Tellico. With the proliferation of full size 4wd usage, the event began to grow beyond its bounds, and the need developed for a recreational advocacy group to work with the Forest Service in maintaining the trail system. In the spring of 1987 a new organization was formed to be an advocate for the many individual and club 4wd enthusiasts in the southeast United States. This association was formed as the Southern Four Wheel Drive Association. The inaugural meeting took place in Gatlingburg, TN. Among the attendees was Scott Fields, a member of the Carolina Trail Blazers 4wd Club, Inc. Scott is a charter member of SFWDA and the CTB club. In February 2009 I, John Craven, took a concealed carry class in Raleigh. Among the participants were Mike Yager and Kevin Michael, who were moderators on the NC4x4 internet forum. At one point our discussion got on the 4wd subject, the Tellico issue and of course Uwharrie. Mike, a long time volunteer on the Uwharrie OHV trails, was concerned that the lack of participation in and coordination of the Forest Service workdays was detrimental to the long term sustainability of the system. As a user of the Forest in several recreation pursuits, he was also concerned that the various user groups seemed to be antagonistic instead of working as a whole to better the Uwharrie experience for all users. Mike’s vision was a Friends Of Uwharrie organization that would try to bring the Uwharrie OHV volunteer efforts of the various clubs and individuals under one umbrella to stabilize deteriorating participation and foster better long range planning and communication. A secondary goal was to try to bring volunteers from different user groups together on projects of common good. Friends Of Uwharrie was born, but it would take awhile for it to grow! On November 23, 2009 NC4x4 and CTB member Chris Irving posted a thread about his idea for a NC4x4 sponsored trail clean up day. Discussion on the forum led to a NC4x4 sponsored clean up day which was held December 12, 2009 at the Uwharrie OHV trails and December 13, 2009 at the Brown Mountain OHV trials. Both events were well attended and a significant amount of trash was collected from the trails. This event showed that the virtual world of the internet, and NC4x4 in particular, could be a useful tool for mobilizing volunteers for OHV trail work. On December 14, 2009 NC4x4 member Eli Pupavatz posted a thread proposing that the NC4x4 community organize for the purpose of performing off season trail work on the Uwharrie OHV trail system during the 2009-2010 winter closure. Discussion of this possibility, generosity of several members and hard work by Eli concluded with the NC4x4 community participating in the March 27, 2010 Forest Service off season workday. With Eli’s coordination and communication the workday was well attended by NC4x4 members as they joined the Adopt-A-Trail partner clubs in their regularly scheduled off season maintenance. Encouraged by the turnout of the NC4x4 membership for the Forest Service workdays, Mike Yager felt that Friends Of Uwharrie might be ready to take off. In June of 2010 he registered several internet domain names related to the Friends Of Uwharrie idea, including www.friendsofuwharrie.org. On February 22, 2012, another effort was made to grow the Friends Of Uwharrie idea in a more organized and legal manner. NC4x4 ownership created a private sub forum on NC4x4 to facilitate discussion among those members who were actively working with the Forest Service to provide volunteers for Uwharrie OHV trail system maintenance. At that time NC4x4 owners Shawn and Cydney Clemons, Eli Pupavatz , Scott Fields, Mike Yager, SFWDA Uwharrie liaison John Craven and NAXJA representative Glenn Fulmer were invited to the discussion. After a nice start, which produced a mission statement, discussion tailed off with the last post occurring on February 29, 2012. Circumstances such as Mike’s March 2012 stroke, Eli’s work situation, Scott’s business demands and Shawn and Cydney’s family situation conspired to curtail further development of Friends Of Uwharrie. On July 3, 2012, Scott Fields made the last post in the Friends Of Uwharrie Directors forum, a desperate request for someone in the discussion to take the reins in driving Friends Of Uwharrie to success. Despite the seeming hurdles in getting Friends Of Uwharrie to fly, Scott was once again active in the Uwharrie National Forest community having started his Uwharrie Off Road Training Center. He was meeting with Montgomery County officials, private land owners and Forest Service personnel in an effort to bring together a coalition of interested parties to develop more OHV recreation opportunities in the Uwharrie area. 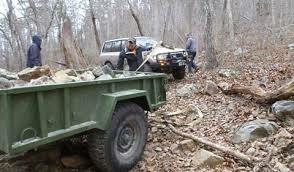 In October 2012 Scott Fields hosted the Uwharrie Fall OHV Jamboree on his UORTC property in Uwharrie. During this event $400 was donated to Friends Of Uwharrie for the purpose of developing the organization and furthering its goals. But there was no actual Friends Of Uwharrie to accept the money! With the threat of malfeasance hanging over his head, Scott took the bull by the horns. With the consent of NC4x4 ownership, Friends Of Uwharrie was incorporated, as a non-profit organization, with the state of North Carolina on November 7, 2012, with the initial Directors consisting of Mike Yager, Scott Fields and Marla Coulthard, an Eldorado, NC resident, outspoken supporter of OHV use and a consultant to non-profit organizations. Then a federal tax i.d. number was obtained and a bank account opened in the amount of $900 thanks to a generous $500 donation by the Carolina Trail Blazers 4wd Club, Inc. By-laws and a Conflict Of Interest policy have been accepted and Friends Of Uwharrie is now a registered 501(c)3 non-profit, organized for the promotion, development and maintenance of outdoor recreation in the Uwharrie National Forest area. Friends of Uwharrie has plenty of space to share your support stories or promote your business or products on our website or Facebook page and in our monthly newsletters! Thank You to all of our 2014 Corporate/Business Sponsors. Corporate sponsorship allows FOU to make an even larger impact in pursuing our mission to maintain, develop and promote outdoor recreation in Uwharrie National Forest.